The Toronto rockers beat out records by The Tragically Hip, Billy Talent, The Sheepdogs and Big Wreck. Rush’s win was announced Saturday evening at a pre-broadcast gala dinner in Regina, Saskatchewan. Rush are also nominated for Group Of The Year; the winner in that category and many others will be revealed Sunday evening at the 201 Juno Awards; hosted by Michael Buble, the event takes place at Regina's Brandt Centre and will be broadcast live across Canada. Rush’s Juno win comes on the heels of the band’s induction into the Rock & Roll Hall Of Fame in Los Angeles on Thursday. 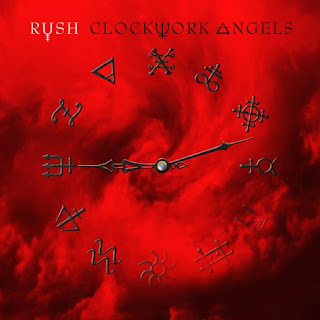 Rush resumes its Clockwork Angels tour on Tuesday (April 23) in Austin, TX. Rush: 2013 Clockwork Angels tour dates leaked?